A refrain I hear from many mothers who talk to me about their children is the wish – actually their determination – not to be like their own mothers in the way they raise their children. They want to correct what they regard as the mistakes that were made with them. By mistakes they usually mean things they didn’t like as children which then somehow impacted on them as adults. A mother made an interesting point in talking about this: “One of the things that happens after you become a parent is that it puts you back in touch with yourself as a child, and you don’t want to do the things that you didn’t like. But you find that it is a continuous struggle to avoid repeating these things.” In referring to being put “back in touch with yourself as a child”, this mother is really saying that certain interactions with her children bring out feelings in her that are the feelings she had in similar situations when she was a child. But why the continuous struggle to avoid repeating the things she didn’t like? The problem is that her feelings put her back into the position of the long ago child, while in present day reality she is the mother. As the mother she may identify with her own mother, but as the child, she would like to change what her mother did. Another mother described this as: “My pull is to be exactly like my mother. My wish is to let my child be herself.” So as the mother she finds herself doing what her mother did, but in her identification with her child she would like to follow a different path. This identifying with your own mother – even when you didn’t like what she did – while also identifying your child with yourself as a child, can be a source of conflict for a parent. At times it can lead to a conscious decision to do the opposite of what your own mother did, while at other times one may not even be aware that this conflict influences how you respond to your child in certain situations. Although obviously there are individual differences in when and how such conflict is triggered, there are some familiar parenting issues that many parents can recognize. One such issue has to do with freedom from restrictions such as bedtimes, curfews when children are older and go out with friends, even questions about limits on independence as children reach different developmental stages. Often mothers say they want to give their children more freedom than they were allowed. (Children usually feel they should have more freedom from restrictions than they are allowed.) The problem that then arises is that if you don’t want to use your own parent’s rules as a guideline, you have to follow a different course that is uncertain. This can lead to doing the opposite of what your own mother did, and that can create its own problems. Sometimes we may feel our own mothers were too controlling, and we want to give our children more freedom in that regard. This can translate into giving children choices about everything. 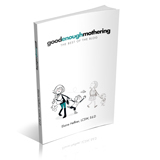 One mother came to feel she was acting like her own mother by being too controlling about everything her child did. Without realizing it, her correction became asking her three your old daughter what she wanted to wear, what she wanted to eat, or what to order in a restaurant. The mother saw this as helping her child feel more involved, so that she wouldn’t feel as controlled as she had. A mother whose mother had insisted she wear frilly dresses when she wanted to wear pants in order to climb and do sports, was determined that her daughter should have the freedom she didn’t have to wear pants. Instead, to her chagrin and upset, her daughter loved frilly dresses and wanted to wear them everywhere. It seemed that just as her own mother was not able to accept who she, the mom, wanted to be, this mom was not able to accept who her daughter wanted to be. In an effort to correct her own mother’s behavior, she actually was acting just like her mother. In trying to correct things from our own childhood we actually play out an old conflict in search of a new ending. As a child we rebelled – or wanted to rebel – against our mothers, and now as a parent, without realizing it, we are continuing the rebellion. The trouble is that in reliving an old mother-child relationship you are turned back not only into the child you were, but the mother you had. As your mother, you can only do what she did. As the child, you are still rebelling. This is the struggle to which the mother quoted earlier was referring. Often, we may not even know that we are engaged in such a struggle, and are puzzled about why things may turn out to be the opposite of what we expected. The real struggle, is to give up being either the child we were, or the mother we had. The task if to create a new mother-child relationship based on who our child really is, and on our adult selves as mothers. Next Next post: Who Speaks for the Children?